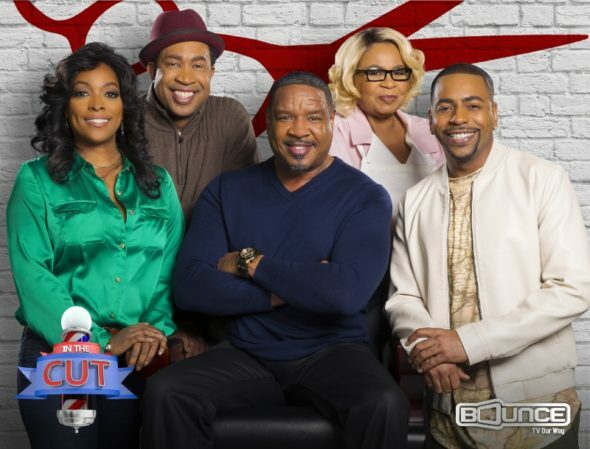 Kellita Smith has boarded the second season of the In the Cut TV show. Season two premieres on Bounce TV, Tuesday, July 5, 2016 at 9:00pm ET. Fans don’t have to worry about In the Cut being cancelled any time too soon, Bounce TV renewed the comedy for a third season, back in April. A five year veteran of The Bernic Mac Show, Smith joins the In the Cut TV series cast including: Dorien Wilson, Ken Lawson, and John Marshall Jones. Fans of Syfy‘s Z Nation TV series will recognize her as Roberta Warren. She also plays First Lady Katherine Johnson in the syndicated sitcom, The First Family, opposite Christopher B. Duncan’s President William Johnson. On In the Cut, Smith will play Cheryl. The co-owner of the beauty salon next to Jay Weaver’s (Dorien Wilson) barbershop, Cheryl is a new love interest for Jay. Get the details from this Bounce TV press release. ATLANTA, June 30, 2016 /PRNewswire/ — Bounce TV, the nation’s fastest-growing broadcast television network designed for African-American audiences and the only emerging network producing original scripted series, will premiere an all-new second season of its popular situation comedy In The Cut on Tuesday, July 5th at 9:00 pm/ET, 8:00 pm/CT. Large and in charge Jay Weaver (Wilson) is an accomplished entrepreneur and barbershop owner. Jay’s life as a San Diego bachelor is abruptly disrupted when he meets Kenny Clark (Lawson), who turns out to be his 31-year-old illegitimate son from a short-lived fling. Kenny wants to get in on the family business and as these two attempt to get to know one another and build their relationship, Jay experiences a range of hilarious setbacks while trying to keep up with Kenny’s life. The new season of In The Cut will follow this father-son duo as they join in on a secret jailbreak, barbershop pranks and Jay’s growing attraction to Cheryl (Smith), the new co-owner of the beauty salon next store. What do you think? Did you watch the first season of the In the Cut TV series? Do you plan to watch the season two premiere on Bounce TV? More about: Bounce TV TV shows: canceled or renewed?, In the Cut, In the Cut: canceled or renewed?